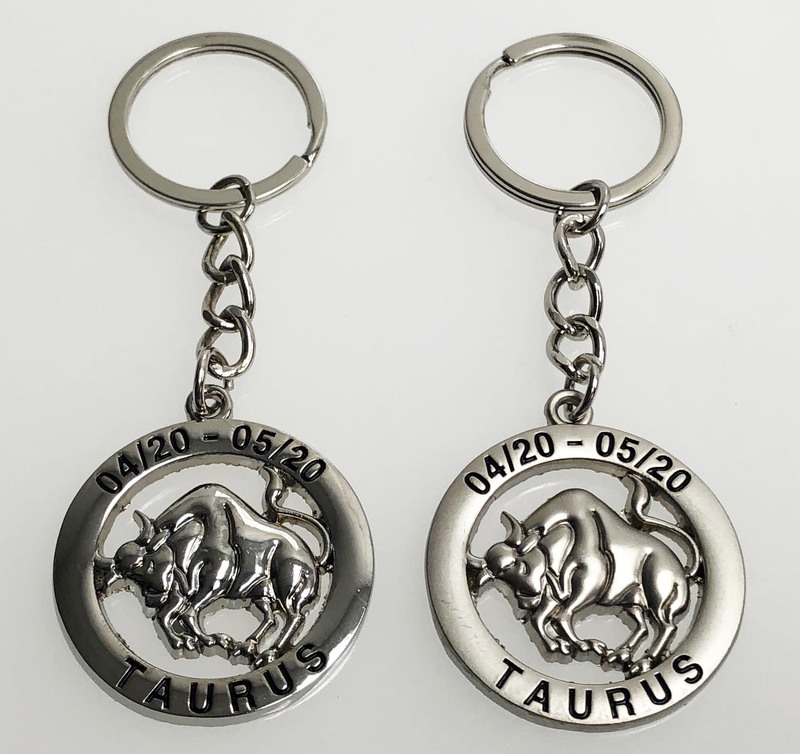 TAURUS KEY TAGS (April 20 - May 20) come assorted shiny silver and matte silver finishes. These are made from zinc alloy, are plated, and then filled will BLACK soft enamel. They measure 1.5" in diameter, attached to a 1" linked chain and a a 1/8" flat split ring.